With wedding season around the corner we wanted to introduce you to wedding photographer, Elizabeth Lloyd. Her approach is energetic and thoughtful and her photographs are natural, unposed and modern. She has been dubbed the ninja photographer by many clients because of her agility and commitment to getting the best shot. 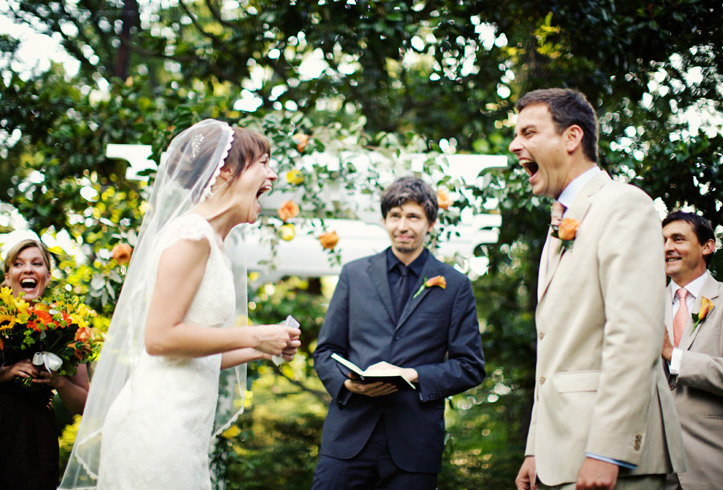 Elizabeth travels throughout the US, Mexico and beyond photographing weddings. Please visit her website for moreÂ gorgeous examples of her work and hire her! You’llÂ be glad you did. This is what my favorite photographer Henri Cartier-Bresson coined ‘the decisive moment’. I’m so grateful that I caught this wonderful moment on film. 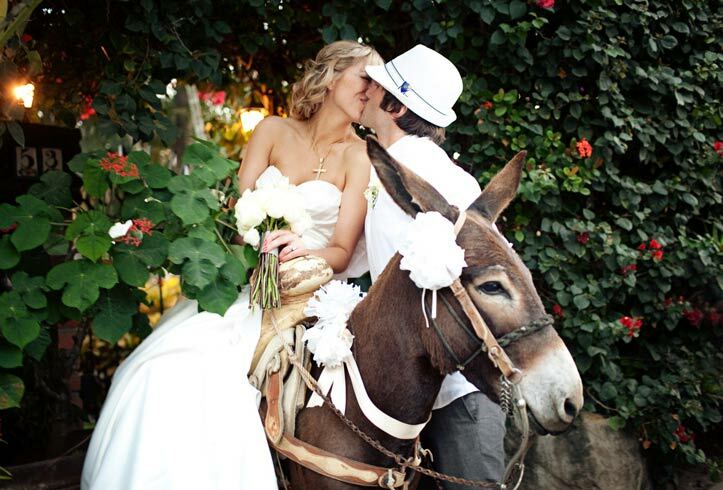 Ben and Meghan were a very fun couple and hired a donkey to come hang out at their wedding. I wanted to document them with it in a way that was playful but not too posed. It was a fun moment and I wanted that to come across. 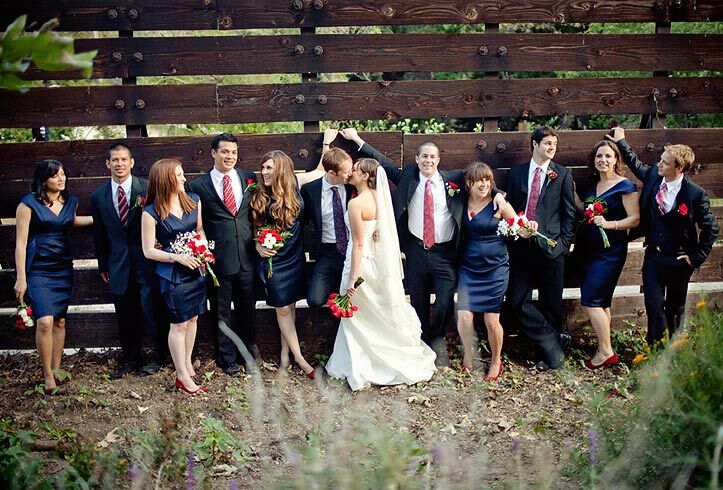 It’s a challenge to take a bridal party shot that looks natural! By letting them ‘get their lean on’ and interact with each other, and then by stepping back into the bushes for a birds-eye point of view, it makes things look a little less staged, and a little cooler. I loved this group and I knew they would like something a little funkier. Did I mention she is also my cousin?! Love her photography! Very natural.